← Interesting facts about Panama? How is investment policy developed? Are there any standards? So all in all, the process of developing an investment policy generally starts from identifying the investor’s return requirements and risk tolerance. Sometimes it turns out that the investor wants an unattainable combination of risk and return; in those situations, a reality check may have to be administered (gently, if at all possible). Then, an asset allocation is devised and adjusted for constraints. How exactly is an asset allocation devised? The adviser, based on the inputs provided by the investor, chooses an attainable combination of risk and return. 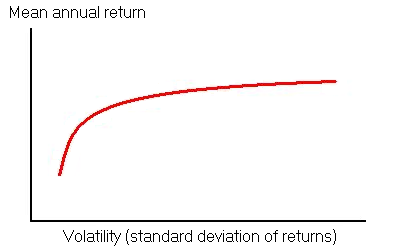 The choice is fed into a program called portfolio optimizer (if necessary data is available, a simple portfolio optimizer can be constructed in Excel; professionals often use specialized software such as Ibbotson Analyst; more recently, portfolio optimizers became available as online services); the optimizer, based on historical returns of different asset classes, suggests an asset allocation that is likely to achieve the desired combination or risk and return in the long run. It is explicitly assumed that over the long haul, risk and return of major asset classes will remain what they have been in the past (it may seem like a risky assumption, but since Roger Ibbotson first advocated it in early 1970s, it proved remarkably accurate for time horizons exceeding 20 years). The result returned by the optimizer undergoes a quick sanity check and, if it passes, gets written into the investment policy as the strategic allocation (sometimes also referred to as policy allocation). The strategic allocation may be tactically adjusted based on market performance expectations; asset classes expected to underperform in the next few years are underweighted, while asset classes expected to outperform in the next few years are overweighted. How are market performance expectations formed? Time is plotted on the horizontal axis, the ratio of NYSE capitalization to GDP, on the vertical axis. 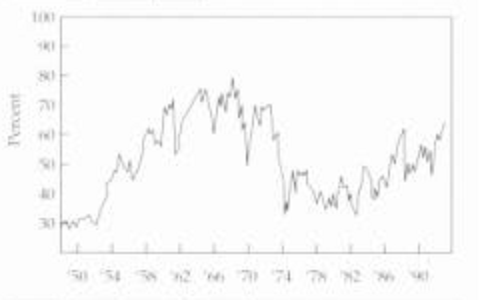 If the ratio is low compared to the historical averages (i.e., stocks are cheap), equities are overweighted; if it is high (i.e., stocks are expensive), equities are underweighted. 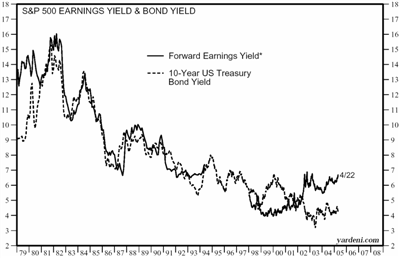 If E/P is substantially above the bond yield (i.e., stocks are cheap), equities are overweighted; if E/P is substantially below the bond yield (i.e., stocks are expensive), equities are underweighted.